A remote Russian archipelago has declared a state of emergency on Saturday following an "invasion" of dozens of polar bears, the state news agency said. A local official, Alexander Minayev, said that between December and February, 52 polar bears were discovered near Belushya Guba, a settlement on the archipelago of Novaya Zemlya in the Arctic Ocean, TASS news agency reported. Some of the animals had attacked people and entered residential buildings, the agency said. "Residents, schools and kindergartens submit numerous oral and written complaints demanding security in the settlement," said the regional government in a statement, TASS said. "People are afraid. They are afraid to leave their homes and their daily routines are interrupted. Parents are afraid to let the children go to school or kindergarten. The bears seemed unimpressed by dogs, additional fences around schools and patrol vehicles, TASS reported. A team of experts sent to Novaya Zemlya for evaluation The behavior of the bears, the TASS report added Environmental observers in the country have denied licenses permitting the killing of aggressive bears. The TASS report gave no reason for the encounters. Estimates of the world population of polar bears are 26,000 Fish and Wildlife Service has been identified as threatened by climate change and habitat reduction concerns. 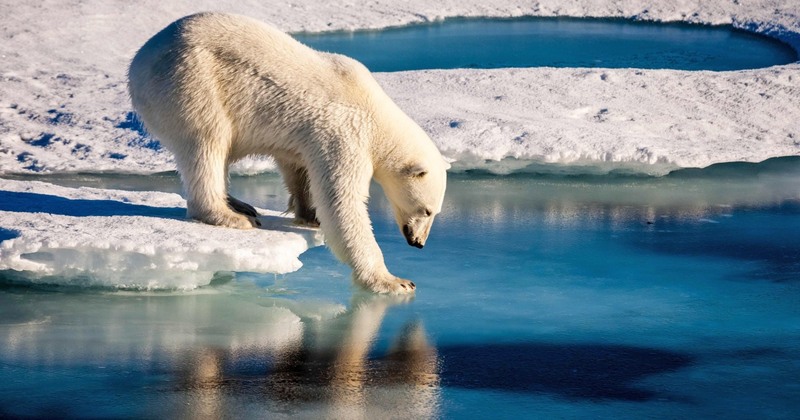 Although attacks on humans are rare, they are likely to increase as more sea ice melts and animals spend more time ashore, according to the Polar Bears International .